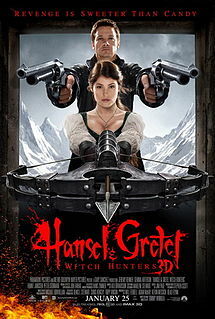 Hansel & Gretel: Witch Hunters was produced by Adam McCay, so it was clearly meant as a goof, but is that enough? Meanwhile, Elliott makes an indecent proposal, Dan reveals a startling breadth of knowledge regarding Misty Mundae‘s acting career, and Stuart lays down the pun laws. Also, the OP’s receive the GREATEST GIFT IN THE HISTORY OF MANKIND. Because “Witchbusters” infringed on any number of copyrights.